The first group of performers for the 61st Grammy Awards have been announced, all of whom are also nominees: Camila Cabello, Cardi B, Dan + Shay, Post Malone, Shawn Mendes, Janelle Monáe and Kacey Musgraves. 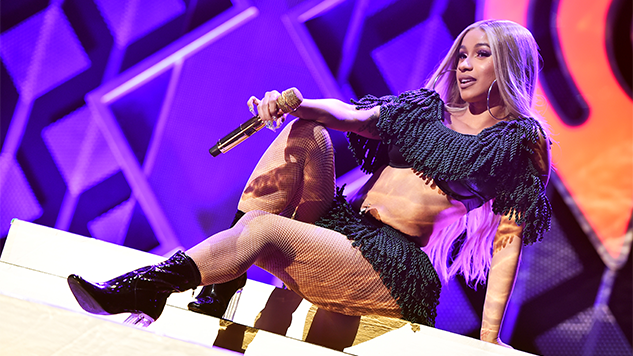 Some of these we’re thrilled about (Cardi B, Musgraves and Monáe in particular) and some of these we will definitely be using as a chips-and-dip break (ahem, Post Malone). It also begs the question—will recently announced host Alicia Keys join in for at least a song? To do otherwise would be a missed opportunity. This will be Cabello’s first-ever Grammy performance. The former Fifth Harmony member is nominated for Best Pop Solo Performance for “Havana [Live]” and Best Pop Vocal Album for her debut full-length record, Camila. Mendes is also making his Grammys debut, receiving his nods for “In My Blood,” (Song Of The Year) and Shawn Mendes (Best Pop Vocal Album). First-time Grammy nominee Post Malone received nods for “Rockstar” with 21 Savage (Record Of The Year and Best Rap/Sung Performance), Beerbongs & Bentleys (Album Of The Year) and “Better Now” (Best Pop Solo Performance). The 61st Grammy Awards air on Feb. 10 on CBS. Check out Paste’s feelings on the 2019 Grammy nominations in our ReSlacktions post and watch a Monáe performance from our archives to get excited about the big night.